Hi, I’m Reid, resident of the beautiful San Luis Obispo, or as we call it, the Central Coast, and the number #1 guy you need to call when you’re looking for tractor work for hire. 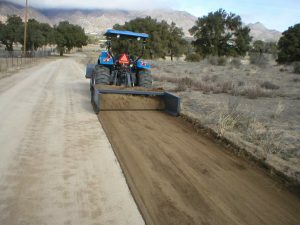 Over the past 10 years, I’ve been the type of guy that works hard to provide for his family here in San Luis Obispo CA and now I focus that same hard working ethic, attention to detail, and git-r-done attitude for owners here on the central coast when tractor work is needed on their properties. 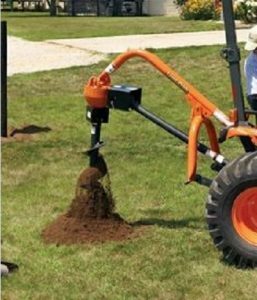 When there’s tractor work wanted and you need simple mowing, field brush cutting, bush removal, soil and mulch loading and spreading, fence post drilling, gannon box grading, pasture rototilling, sub-soiling, or just large area raking… when you hire me? You can be sure my tractor and I will get the job done. Here to the left is a pic of “my work partner” with all it’s wonderful attachments that enable me to tackle just about any project or any tough job anyone tosses our way, including a backhoe with a 9-inch bucket (my favorite!). Do you want to know something else? I also have no problem working weekends or holidays. You’ve got a property. You’ve got a big project that’s been needing to get done. Maybe you need some mowing done. Maybe you need grading on your road. Maybe you need help putting up some fence posts. 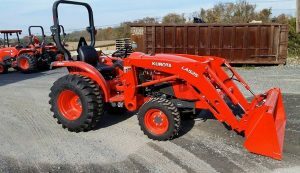 If so… and if you want the best tractor work in San Luis Obispo, California and nearby area… who is fun, easy to work with, and treat the work done on your property like if it was their own? Whip out your phone and give me a call. Number 1 – A quick description of the work you need done. Number 2 – A date and time that you need mt to head on out there. An estimate on how quickly I can git-r-done. An estimate on my tractor work hourly rate and how long will take me to complete. And if for some reason you can’t get to a phone, simply fill out the form with your name, number and email address (hey, just cuz I run a tractor doesn’t mean I’m not up with technology!) to the right of this page and I’ll get back with you right away. I’m really excited to show you why I feel like the #1 tractor work provider in San Luis Obispo, county. Small farms, Commercial business property cleaning, large open fields, and large acreage areas. What are the things that you do? When it comes to tractor work, a better question is: What don’t I do? But here’s why most people call me when they need tractor work: Field brush cutting, bush removal, soil and mulch loading and spreading, fence post drilling with auger, gannon box grading, driveway and road repair, dig trenches for water lines, sewer, dig trench drainage, footings, pasture rototilling, sub-soiling, large area raking, fast on time service, skip to move or load sand, dirt, manure and I can work Saturday, Sunday, and holidays. When people ask me how much to hire a tractor will be I’m always straight up and upfront with them and I’ll do the same with you. I charge $75 per hour. That includes me, the tractor, and fuel. So depending on the size of the job you want done and the amount of time it takes is what it’s going to boil down to. Look, go ahead and contact me and I’ll give you a quick free estimate on how long my tractor work is going to cost you. Oh, and there’s no strings attached. No pressure. No raising the price later on. Us folks here on the central coast keep our promises. Call (805) 936- 0900 to schedule a day and time that works best. Look, I might not be the cheapest price when it comes to the average rate for tractor work here in this county. That’s because when you hire me, I will give you my absolute best work in the most efficient way possible. Whether on the phone or in person, I can explain to you how saving a few bucks with other guys can cost you dearly down the road. Signed by the most passionate tractor work service provider in San Luis Obispo County California. Reid, proud provider of tractor work on the central coast. P.S. – Contact me anytime, day or night. (That’s why I have embraced the internet!) 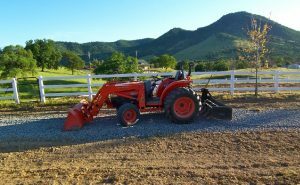 Whatever work you need getting done, whether it’s simple mowing, grading, bush removal, field brush cutting, fence posts put up, or just some simple raking, find out why local San Luis Obispo, California property owners call me to do their tractor work. That’s because, with me? There’s no mess, no stress, I’m fast, flawless and I get the job done.